The Bi-Monthly Legion of Mary News letter, Núacht Na Féile, for Jan/Feb 2016 can be viewed by clicking here. It is a lay apostolic association of Catholics who, with the sanction of the Church serves the Church and their neighbour on a voluntary basis. The Legion of Mary is the largest apostolic organization of lay people in the Catholic Church, with well over three million active members in almost every country of the world. It has been active in the United States since 1931, has been approved by the last 6 Popes, and was endorsed by the Second Vatican Council. Members meet once a week for prayer, planning and discussion in a family setting. They are expected to do two hours of definite work each week in pairs and under the guidance of their Spiritual Director. 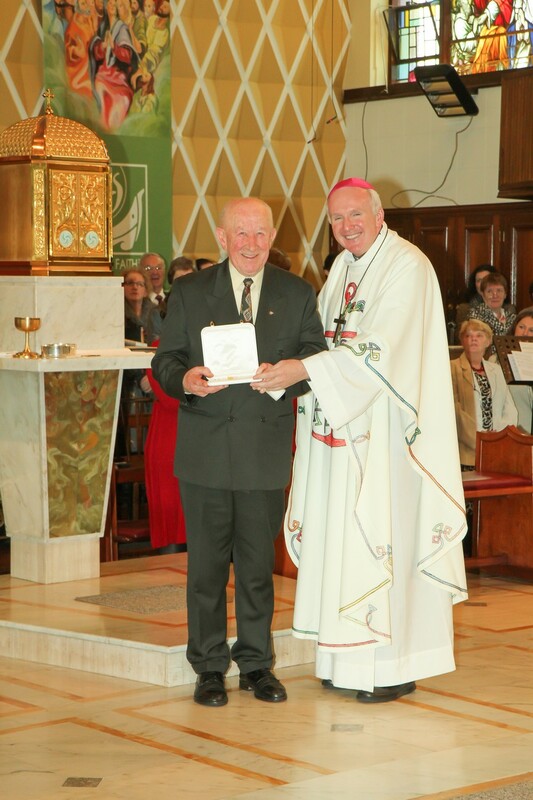 The works include: reciting the Rosary nightly – Monday to Saturday in the church, visiting the local residents in St. Ita’s Hospital and Kilcara Nursing Home, selling the catholic papers in the church at week-ends, regularly stocking the two C.T.S. stands in the church, preparing and mailing the emigrant newsletter – Núacht na Féile – six to eight times a year to Abbeyfeale emigrants all over the world. Seasonal works include: reciting the Rosary once a week during the month of May at the blessed well in Killeenagh and preparing the altar there for the annual Mass, assisting with the organising of participants at the Perpetual Adoration of the Blessed Sacrament during Lent, organising two pilgrimages to Knock shrine every year, assisting and sending two representatives to the annual Abbeyfeale re-union in London, to make public the true message of Christmas by display – a crib in a shop window on the Main Street. As well as these works the members are available to assist the parish clergy when and where necessary such as preparing for Missions in the Church, charitable projects etc. The members greatly appreciate the valuable assistance of a Spiritual Director Priest at all times. 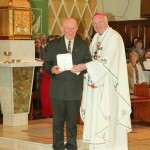 If you are interested and adhere to the following: attend mass regularly; have the desire to participate in the Church’s apostolate through membership in the Legion and prepared to fulfil each and every duty which active membership in the Legion involves please contact: Sean 068 31213, Bernard 068 31565 or Daithi 087 0994272. If there is no Legion of Mary in your parish, you can participate in a group in another parish until you can start one of your own with the assistance of other Legionaries and in cooperation with the priest. New members are always welcome. For more information contact Sean Broderick.